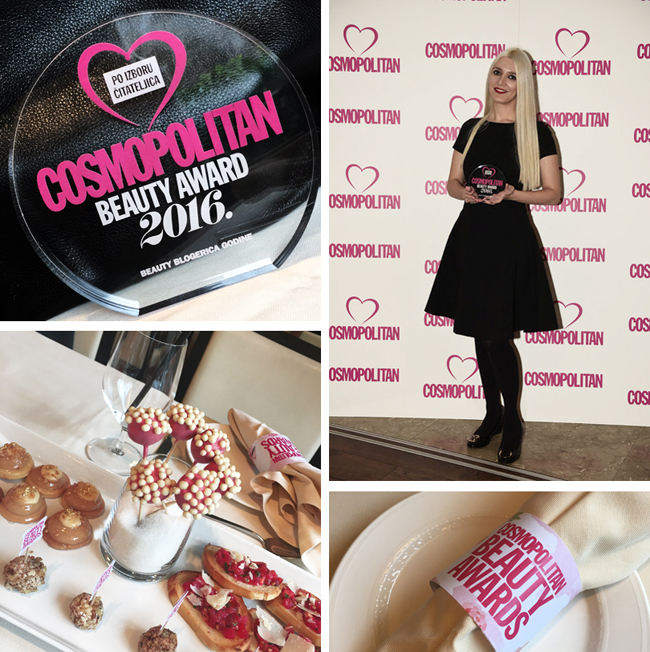 At this year’s Cosmopolitan Beauty Awards I won The Best Beauty Blogger award. 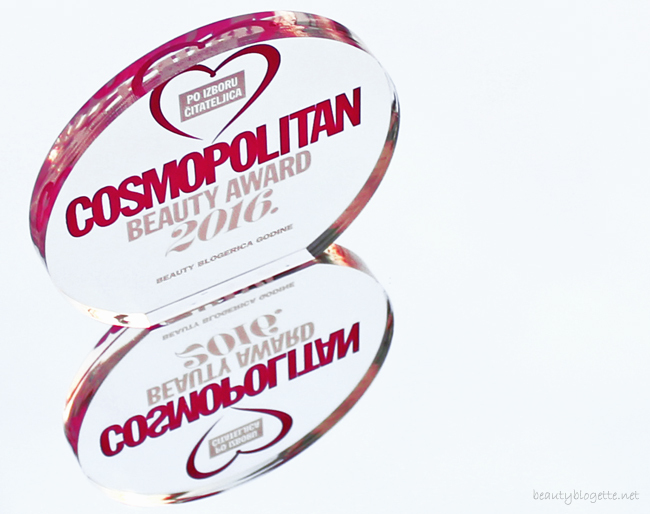 This is the first time that Cosmo included beauty bloggers in its prestigious annual award. 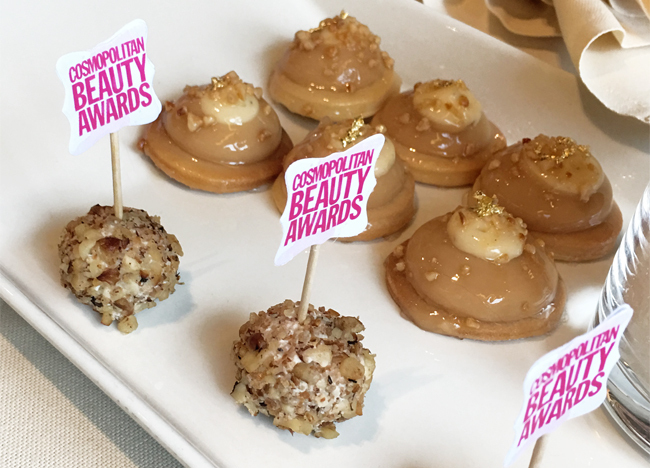 So, thank you Cosmo for that, as well as the nomination. Of course, a big thanks goes to you, my dear readers, for recognizing my blog among other excellent blogs. Thank you for giving it your vote. Marini Luminate Eye Gel is designed to provide radiant and luminous looking skin around the eye area. Also, its task is to reduce the appearance of fine lines and wrinkles, red and blue discoloration and to improve hydration. Key ingredients: Chromabright, Linoleic Acid, Linolenic Acid, Retinol, Palmitoyl Tetrapeptide-7, Palmitoyl Tripeptide-1, N-hydroxy-succinimide, Chrysin, Ceramide-2 and Tocopherol (vitamin E). Since this product contains Retinol (Vitamin A), it is best to be used during the colder days of the year. Also, a broad spectrum sunscreen is recommended while using this product. Use in pregnancy and while breastfeeding is not recommended. I have been using it lately and I noticed some improvements. The skin is smoother and a bit brighter. I love its lightweight, gel texture and I haven’t experienced any irritation. 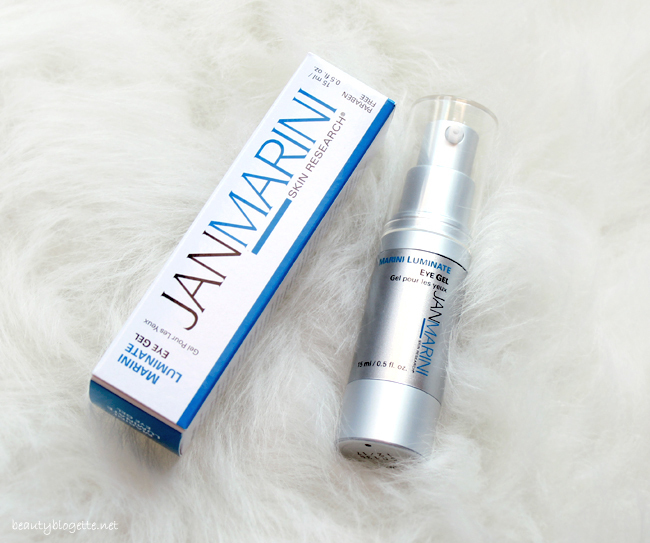 So, this is another Jan Marini product that I liked. I have already reviewed some of their products. 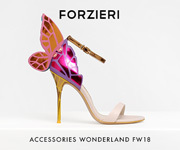 You can find the reviews here. 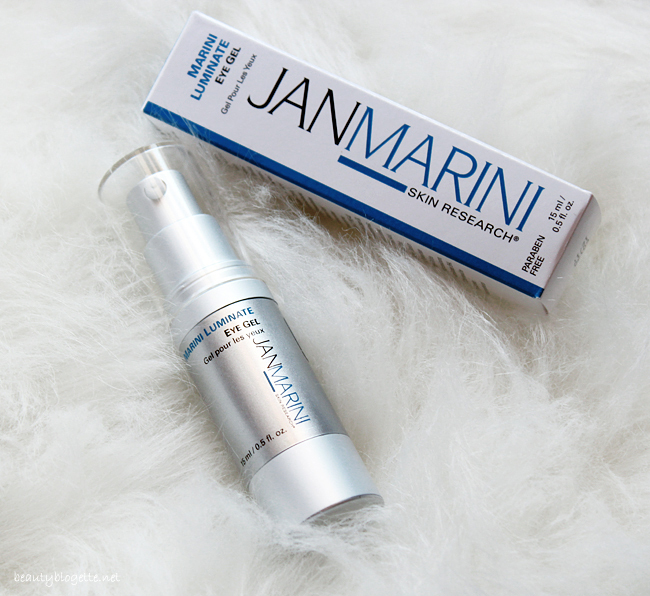 Have you ever tried any Jan Marini product? Do you use eye products that contain Retinol?